Hey there! Due to some recent Gmail changes, there is a new version of this article available (along with a video). Check it out! A lot of people with websites know that they can setup custom email addresses for themselves such as info@yoursite.com to help add extra professionalism to their services. Typically email addresses are added to business cards and other print collateral, so having a custom address as opposed to an @yahoo.com or @verizon.net email address makes you look more professional. Some of you may also know that you can have the emails from the info@ forwarded along to your personal yahoo, verizon, etc. accounts so you only have to check your mail in one location. The trouble with doing that is that if someone emails you at info@yoursite.com, and you respond to their email, the email that they receive will be coming from your yahoo, verizon, etc. address which can be confusing to your customers. A way to solve this little problem is to add your custom email address into your personal email account, providing your email provider allows you this option. I know for sure that you can do this in providers like Gmail and Yahoo Mail. Adding a custom email address to your Gmail account is a fairly simple process. First you need to have your custom email address setup. A lot of times this is done through the website hosting or it can be done through your Domain name registrar depending if they offer you a custom email address. With your custom email address setup, you want to forward your emails to your personal Gmail account. After that is all set, you can feel free to head over to Gmail to finish things up. Please note that you may want to send your custom email address a test email to make sure you receive it in your Gmail account. You can send yourself an email within Gmail. 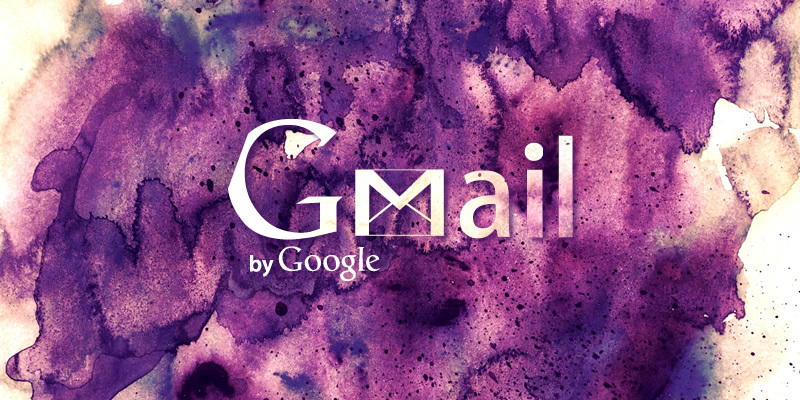 Once you have your custom email address setup and forwarding to your Gmail email address, log into Gmail and click the gear icon at the top right of your screen and choose Mail Settings. From there you want to choose the Accounts and Import tab. Once you’re within that tab, you should see an option that is titled Send Mail As: with a button near it that says Send Mail from Another Address. When you click that button you may get a small popup window. Fill in the appropriate information. In the first panel your name could either be your business name or your personal name, and the email address would be your custom email address. You can leave Treat As An Alias checked. At the next step you can leave the Send through Gmail option selected which uses Gmails servers to send the emails. Then the final step is to send the Verification email. Once you do so, Gmail should send an email to your custom email address, which would then forward back to your Gmail email address which tells Gmail that you have everything setup correctly. From there, open that verification email and click the link to verify and you’re all set. The last thing you may want to is make your new custom email address the default email address in your Send Mail As settings. That will ensure that anytime you compose a new email, that it would be sent from your custom address rather than making you have to choose that address. If you’re setting up a brand new Gmail account, it may take a day or two for the verification process to work. We’ve run into this before where we have setup new Gmail email addresses for clients and it takes a full day of the email address existing before we can actually run through the process of adding the custom email address into Gmail. Also, the standard setting for Gmail is to have your reply to your emails from whichever address the emails come into. So if you get a personal email from a friend who sends that email to your Gmail account, when you reply, they will see the email coming from your Gmail email address. Then if you reply to a customer who has emailed your custom email address, they will see the email coming from your custom email address when they get your response. To take it to the next level, you can create filters to push all of your work emails and personal emails into a separate folders to keep your inbox organized. You can play with the filters options under Settings and by clicking on the Filters tab. The steps to adding your custom account into Yahoo are very similar, and we’re sure other email providers offer the same feature.